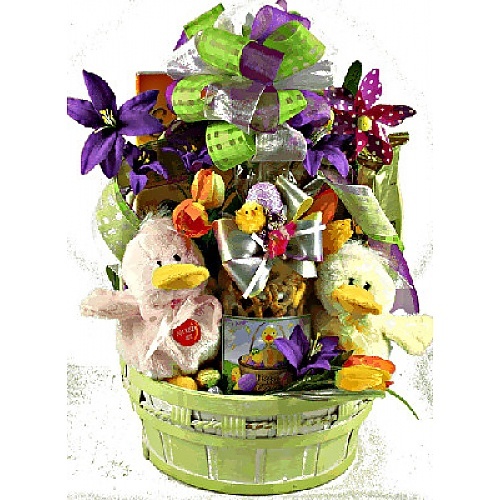 They will quack up when they receive this beautiful gift the features the cutest little ducklings that start quacking when you squeeze them, along with other goodies. They will quack up when they receive this beautiful gift that features the cutest little ducklings that start quacking when you squeeze them. This gift also features an Easter book, colorful pinwheel and a host of delicious treats for them to enjoy!